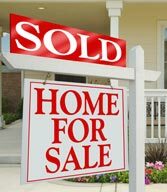 How I can help you sell your home Park City, UT – Brown & Company of Park City, Inc. – Looking to Sell? Selling a house is not something for amateurs. Don't waste time with an agent who is a bad fit. I have the skills and know-how to get your home in Park City sold quickly. And no matter how nice your property may be, a house won't necessarily sell itself! The agent you choose makes or breaks your selling experience. Low-hassle transactions happen because you have a committed, experienced agent. Providing you a positive home-selling experience is my passion during every real estate transcation. I determine home values on a daily basis in Park City and Park City and I can help you figure out exactly what your home should sell for and get the best bid possible. Buyers will see your home in top selling condition, and I'll recommend dollar-generating changes to prepare and stage your home for Open House events in Park City. I'm here when you need me — by email, in person, and even through text message. You're my top priority and my schedule and actions reflect it. I’ll promote your listing as a top priority, promising it gets the attention it commands in all available portals, even nationally. Every agent in Park City will see your great home. As a resourceful agent in Park City, I can assure you that you’ll get the best price for your home and get it sold quickly. It's easy to select the first REALTOR you meet, but choosing the right agent takes planning. Your home sells faster when you have a knowledgeable, honest agent working for you. I'm available to address any reservations that you have about selling your property. E-mail Brown & Company of Park City Inc. at betty@buytheslopes.com or call 435-649-5551.